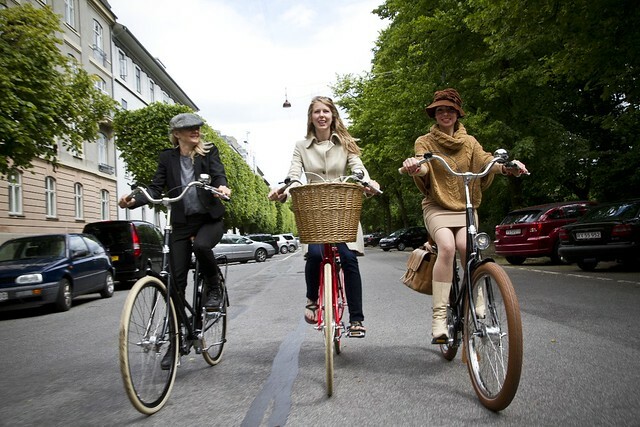 It's Copenhagen Fashion Week this week and what better reason than to write about bicycles and fashion. 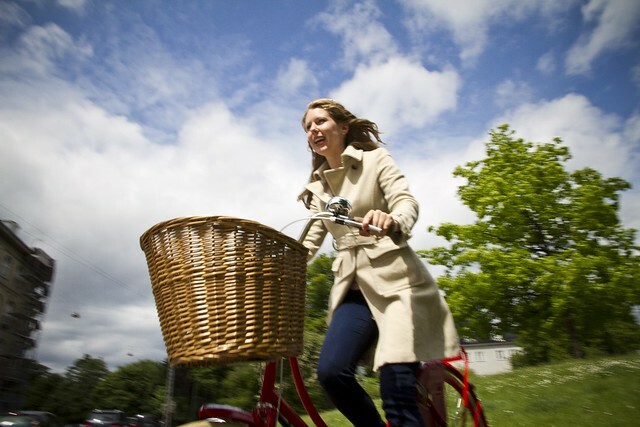 It's no surprise that we like photography and we like bicycles here at Cycle Chic. Often we get to combine the two in a little more detail than normal in the form of photo shoots. 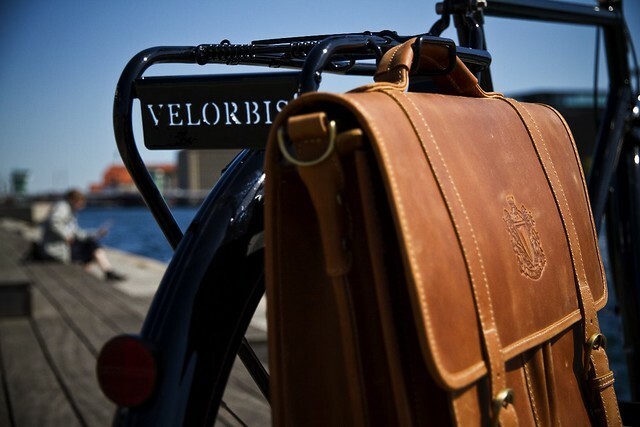 Danish bicycle brand Velorbis needed some new imagery for the new catalogue and we said 'oh, yes' when they called. We shot the catalogue over two days here in Copenhagen and had a fabulous time. Here are some of the photos from the shoot that we fancy. 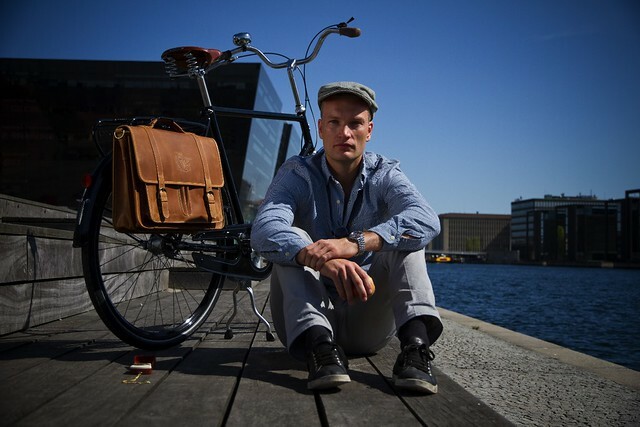 We shot a number of Velorbis bicycles as well as a bunch of their cool, new accessories like gorgeous leather bags for urban living. There were, of course, a number of things we wove into the concept for the photo shoot. If there is any bicycle brand out there that understands how to sell their products positively, it is Velorbis. So right off the bat, we had a whole marketing world in common. We wished to present cycling and bicycles like they always used to be presented, from the very beginning of bicycle culture in the late 1880's. Elegance, practicality, effortlessness. We were inspired by the many examples of bicycle posters from the late 1800's/early 1900's. Not directly, but merely in the style of the messaging. 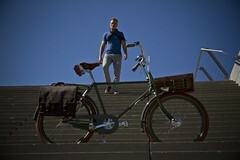 We also developed a concept for the photo shoot that is quite rare in bicycle advertising. We found hardly any examples of bicycle ads where the model looked right into the camera, at the viewer. So we integrated this into the shoot, as you can see in a lot of these photos. Now we're looking forward to a shoot - stills and a film - for our good friends at MUUSE.COM next month. 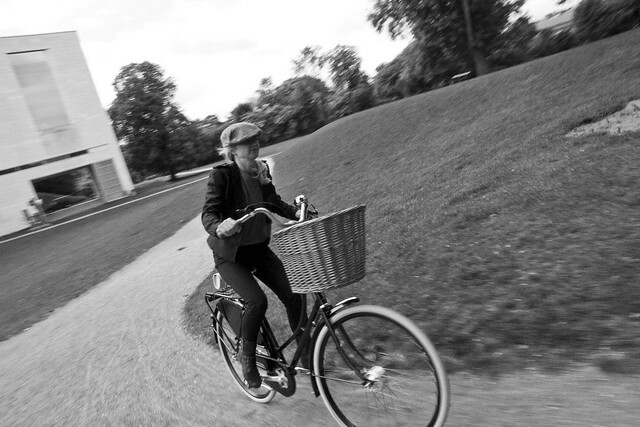 Copenhagenize Consulting, who run Cycle Chic, works with consultancy and communications regarding urban cycling but fashion and photo/film jobs are the jam on our bread and butter sandwiches. See the commercial for Biomega bicycles, for example, here. Wish you were here ( US ) or I was there because if that were the case I'd use you folks for my next CD shoot . 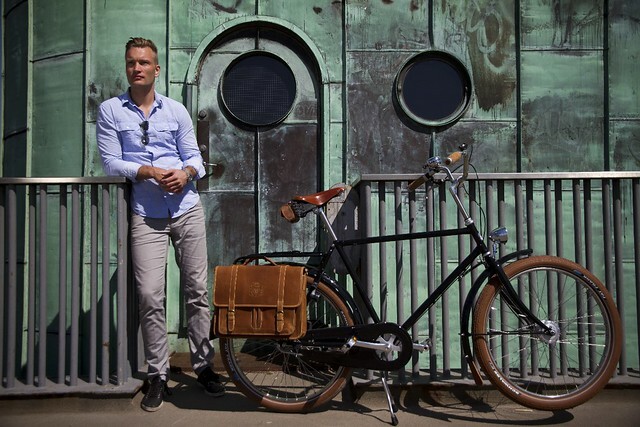 The leather panniers are so sharp; I want them! 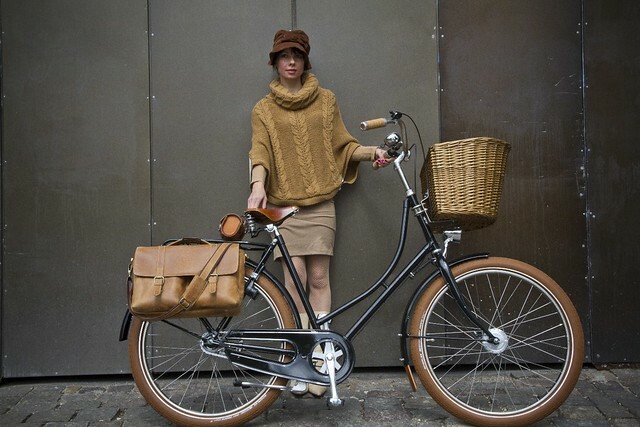 Holy cow...those gorgeous panniers are 220 euro. Guess I'll be saving up a while. That's good work if you can get it. 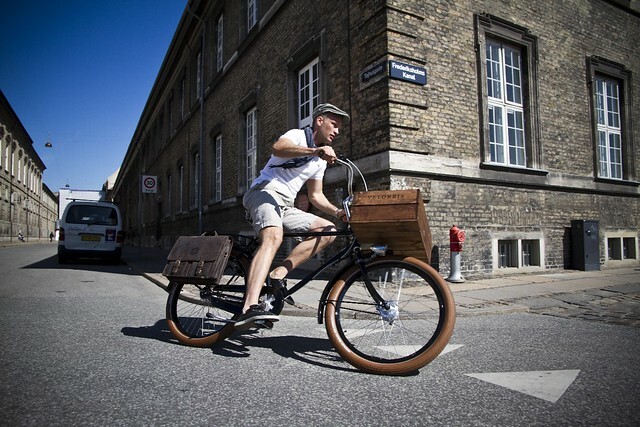 As someone who commutes daily on a Velorbis Dannebrog, this is such a treat. I never lose the sense of wonder of how beautiful and strong these bikes are. It's like riding a piece of functional art. I particularly enjoyed the behind the scene shots. But is it just or is the blue shirt a tad snuggly on the male model..? !